West African nation Nigeria has overtaken North African counterpart Egypt as Africa's largest producer of rice. During an interview by The Nation (Nigeria), the Director-General of the Africa Rice Center, Benin Republic, Dr Harold Roy-Macauley revealed Nigeria - Africa's fastest growing economy 2019 - produces 4 million tonnes annually. 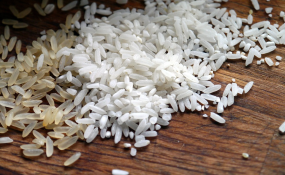 Egypt's rice production stood at 4.3 million tonnes yearly but is forecast to decline by 40 per cent reduction after the Egyptian government decided to limit cultivation to preserve water resources. Cited by The Arab Weekly, Egypt's rice cultivation required about 1.8 billion metres of water in evaporation, transpiration and irrigation every year. Actually, the country is even exporting grains. The stats offer a sigh of relief to the country's agriculture sector and eases tension on food security. However, Nigeria's population stands at 190 million, arguably Africa's largest, with a forecast 2.90 growth rate in 2019. In the period 2017/2018 season, the world's top five rice producers were China, India, Indonesia, Bangladesh and Vietnam respectively.